The father and son had been walking on the beach when the tide started coming in quickly. They tried to climb the 50ft cliff but got stuck about 35ft up and called for help whilst 10ft waves were breaking beneath them. Hornsea and Bridlington coastguard rescue teams and Hornsea inshore rescue were called to assist, and although they managed to stabilise the casualties on the cliff, they were unable to carry out the full rescue due to the dangerous environment. 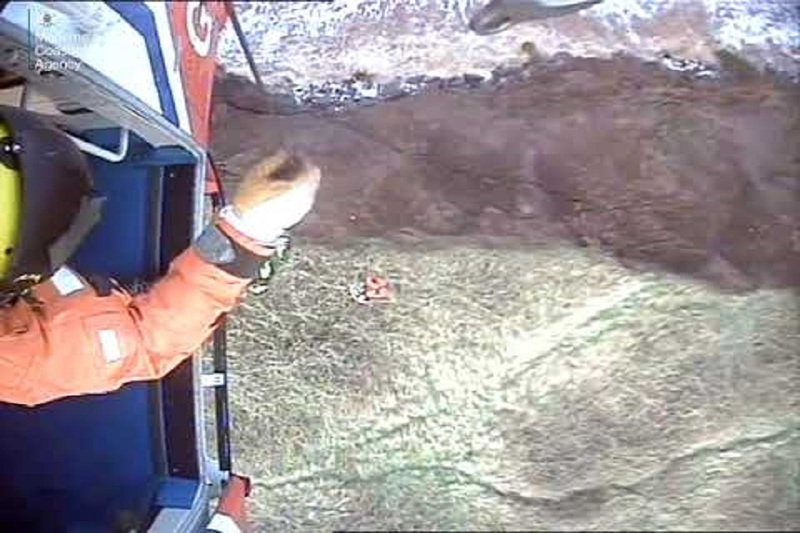 The Humberside coastguard helicopter was called in and winched the pair to the top of the cliff where they were met by the Yorkshire ambulance service. A coastguard spokesperson said: ‘This father did absolutely the right thing to call the coastguard when he got into difficulty. Walkers should consider whether they could become cut off by the incoming tide and should not attempt to climb cliffs as shortcut back to the top. Always check the weather and tidal conditions before you set out so that you can prepare accordingly. Don’t take risks, but if you do get into trouble or see someone else in difficulty call 999 and ask for the coastguard.